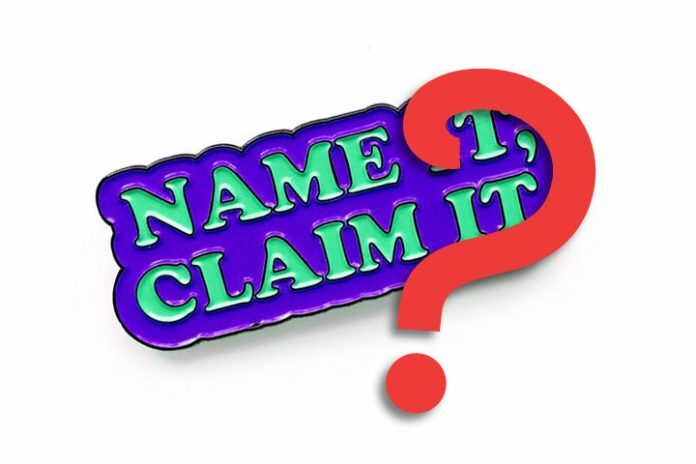 Should you Name it, claim it? - John15 Rocks! Home Apologetics Should you Name it, claim it? A popular evangelist from Ghana authored several books that have indeed changed the lives of many people. One of his bestsellers was a good read because it was about the goodness, power, and blessings that God desires for us. However, certain passages in the book are antithetical to the true gospel message and the clear teaching of Scripture. The book begins by relating faith with what your heart desires – mostly receiving wealth. Prosperity gospel. Though the book is a good read, it is also dangerous as it ultimately promotes the “prosperity gospel,” characterized by a cultic doctrine. The supposedly “best part” of the book where you declare and make all sorts of pronouncements is summarized into these personal pronouns – “I, me, and myself.” Then you are advised to declare things that are opposed to the teaching of Jesus. He was using Psalm 109 as a reference where King David “cursed” his enemies. Although it sounds evil, King David was asking the Lord to do exactly what God had said he would do to the proud and wicked (Exodus 34:6-7; Job 40:12; Proverbs 15:25; Jeremiah 50:32; Isaiah 13:11). But didn’t Jesus say to love your enemies, do good to those who hate you, and bless those who persecute you? (Matthew 5:44; Luke 6:27; Romans 12:14). If you are like this Pastor who declares “ill” to other people, ask what your motives are in invoking God to rebuke and judge people. Remember, whatever measure you use will also be used against you (Matthew 7:2). Allowing someone to bow to demonstrate their humility does not make sense if you are a Christian. We are called to be humble like Jesus (1 Peter 5:5-6), why should anyone bow before us, even if the intention is to seek forgiveness? Even angels would not allow anyone to bow before them because it allows them to be worshipped (Revelation 22:9). There was a Christian leader who claimed and declared “We have a megachurch… we have our own church building,” inspired by the a declaration on ‘page 71.’ However, another member of their church had a vision that their church closed down, and it did after a few months. Why this after they fasted, prayed, demonstrated immense faith, claimed and declared expansion? Our motives no matter how sincere can have intentions that are ultimately self-serving and we must always ask the Holy Spirit to reveal to us ways that we might be deceiving ourselves. This will allow us to confess and repent and get right back to God’s original intention. God evaluates our motives (Proverbs 21:2) and He will not hear those whose heart is filled with pride (Job 35:12).